Monday,Tuesday 9 a.m. to 4 p.m.
Thursday, Friday, Saturday 9 a.m. to 4 p.m.
Sunday pick-up or drop-off by appointment only -- between 3-4pm. Call to set up this option. For questions about our fees please see our "BWK Price List". For those of you who have questions about the different services we provide, you can read about them at your own convenience under "About Services". Boarding requirements and other tips can be found from our "Information" page. 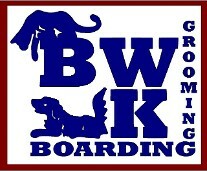 You may contact us by phone (810-984-2330) or by email (bwkboarding@gmail.com). For email, please fill out the following form to request information, to provide feedback regarding our services, or about our website. When you are finished, click the 'Submit' button to send us your message (you will see a confirmation below).